'Seasoned pelagic veterans and landlocked birders alike will have tons to learn about North American tubenoses from this book and I know it will offer enjoyment to anyone interested in wild birds! 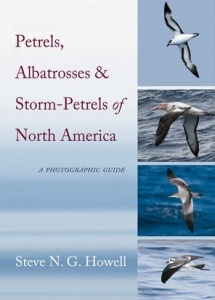 The bottom line: This is a must-have title for any serious North American birder--get it!' --Bill Schmoker, Brd Pics blog.